The Singer Featherweight C240 sewing machine packs a lot of features into its cute 14.6 pounds. Perfect for travel or a sewer with a lot of creativity, the Singer Featherweight C240 sewing machine offers 70 stitches, needle stop up and down, electronic stitch selection, easy drop in bobbin, a needle threaders and up to 700 stitches per minute! Sit down at this machine and watch it sew just like the bigger machines but without being oversized or the high price tag. We have filmed over 45 free tutorial videos to help you learn everything about the Singer Featherweight C240 sewing machine. Whether you are considering purchasing this machine or you are not using it to its fullest, our Sewing Mastery videos are guaranteed to help. The Singer Featherweight C240 sewing machine is the perfect travel size machine. Weighing in at only 14.6 pounds, it is still a sewing machine powerhouse with a full metal sewing frame inside. Singer Intergraded Even Feed System – like having a built in walking foot! This Singer sewing machine has a built-in Singer Intergraded Even Feed System. This walking-foot like system is perfect for machine quilting, stitching in the ditch and sewing through stretchy fabrics. No need to purchase a separate walking foot. This technology does the job of a walking foot all day long. Adjust the sewing speed to five different speeds with a touch of a button. Slow it down for younger sewers just starting out. 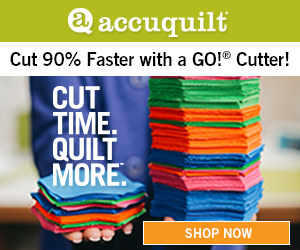 Set it to a medium speed to help get even stitches with free motion quilting or set it at max speed (700 stitches per minute) to check those sewing projects off the list FAST! Almost a necessary these days, the Singer Featherweight C240 sewing machine has an easy to use, onboard needle threader. Drop in bobbins are simple to load and remove plus see if the bobbin has enough thread to finish the next seam. With a total of 70 built-in stitches, the Singer Featherweight C240 sewing machine includes appliqué stitches, stretch stitches, buttonholes, decorative stitches and plenty more to get a sewer excited for years. Lighting is very important when sewing. Singer has added not one but TWO LED lights! Buttonholes are easily sewn on the Singer Featherweight C240 sewing machine using the included buttonhole foot. Place the button in the foot and the machine will sew the exact size of buttonhole needed. The accessory package included with this machine offers users a wide range of sewing options. Our videos will cover how to use each of the included presser feet. The included hard case keeps the machine safe when you are on the move. Or if you do not have a permanent home for the machine to stay set up and plugged in, the hard case will keep the machine protected when stored away in a closet. The Singer Featherweight C240 sewing machine has a Start/Stop button. Use this button to run the sewing machine without the foot control. I love using this feature when stitching out rows and rows of decorative stitches. The Singer Featherweight C240 sewing machine can sew up to 700 stitches per minute. Sit down, sew and get the projects DONE! The Singer Featherweight C240 sewing machine has 29 needle positions. This allows perfect placement of topstitching, zipper insertion and machine quilting like stitching in the ditch. 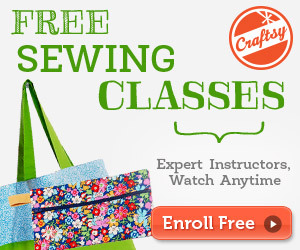 Watch all 46 free tutorial videos for the Singer Featherweight C240 sewing machine here. In conclusion, the Singer Featherweight C240 sewing machine can sew through any type of fabric, decorate a finest dress and mend the worst hole. Next time you are shopping for a lighter weight sewing machine, be sure to put the Singer Featherweight C240 sewing machine through a few tests of your own. Thank you so much for this article. I have a big beautiful Bernina and am looking for a smaller machine for travel and classes. This machine is definitely a contender. I learned to sew on a Singer Featherweight and this modern version seems a noble successor. With the exception of the darning feature, the decorative wing needle hem stitches and a few other decorative stitches this machine sure reminds me of the Pfaff Passport 2.0 right down to the weight, the distinctive Z shaped satin stitch and pin stitch applique stitch. I am definitely going to visit the local Singer dealer and try one out. Since Singer and Pfaff are both part of the same company, I wouldn’t be surprised if there are more than a few similarities between those two machines. You are absolutely correct. I bought the Singer Featherweight C240 and it is basically a Pfaff Passport 2.0 in a Singer body – there are about a dozen differences in the decorative stitch options. My local Pfaff dealer is going to service it for me and I purchased an array of accessories for the Pfaff Passport 2.0 and all work perfectly with this machine. is there a quilting foot for this machine for machine quilting? Hi Liz, Yes! Here is the video for which foot and how to free motion quilt on the Singer Featherweight C240.